Wildlife gardening can involve as much or as little effort as the gardener allows. 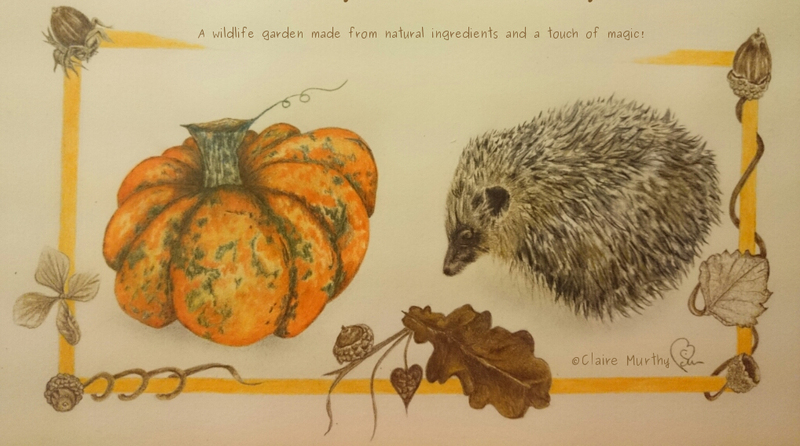 Wildlife Garden : Autumn Treats for the Hedgehogs. It can take weeks digging vegetable beds, months planning fruit and vegetable garden spaces and years generally labouring in the garden - out there at dawn and back out again at dusk, plus devoting any spare time in-between; creating a wildlife garden (or a kitchen garden, for that matter) can be a challenge. The plans are (being a decade wiser) for a small wildlife garden (and a small kitchen garden), involving less gardening-effort - making adjustments to improve and nurture the natural environment and garden rather than going for a complete overhaul, as in the past – when the garden resembled an allotment. A wildlife garden that fits in with the demands and pace other work and commitments – but one which attracts a host of benefits for the garden inhabitants: safe places to live, feed, breed and shelter. A hedgehog might enjoy a few late fruit windfalls, slugs and acorns before it finds a cosy place for winter hibernation. In devouring the treats from the garden, it naturally helps with the autumn tidy! Enjoyable Gardening and Blogging - Wildlife Kitchen Garden!